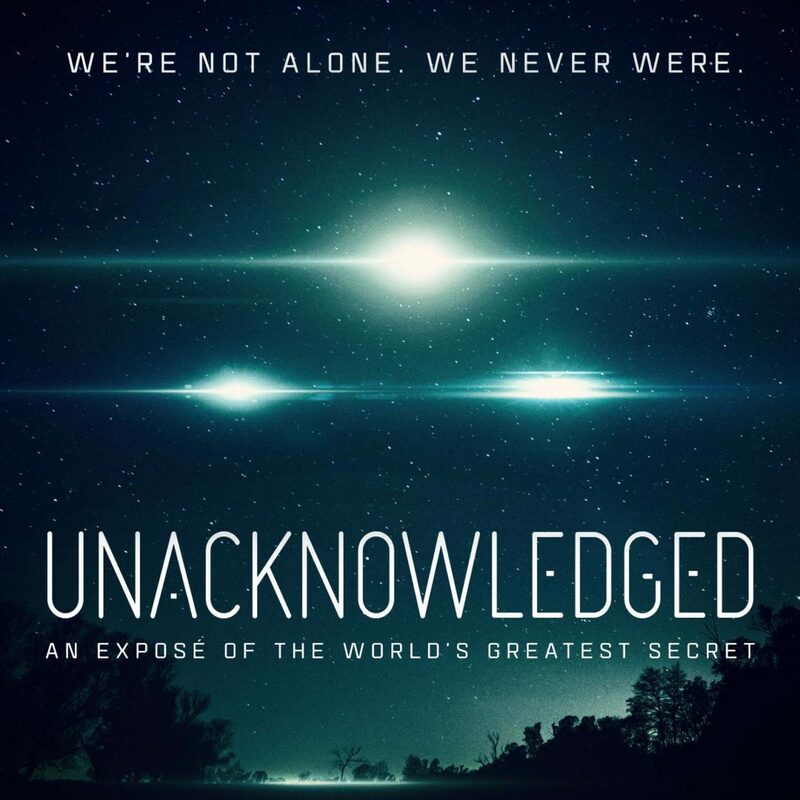 With its high production values and its parade of seemingly expert witnesses, Steven Greer’s film, Unacknowledged, may at first seem to provide substantial evidence of visitations by space aliens to the Earth—in particular that the Roswell incident involved an actual crashed spaceship and the bodies of its alien crew, of a massive cover-up of these contacts by the government of the United States, and the reason for the cover-up. This last is that the cover-up is part of the suppression of the science and technology of zero-point or quantum vacuum energy, which would give us unlimited, pollution-free energy and eliminate poverty and starvation throughout the world. The perpetrators of this evil conspiracy are, according to the film, those in charge of “Black Programs,” which gobble up either $40 to $80 billion a year (as it is claimed early in the film) or $100 to $200 billion (as the narrator claims later in the movie). That the person who is taking Corso to task and implying that he is a fraud is none other than Stanton Friedman is quite telling, since Friedman is perhaps the foremost apologist for the contention that an alien spaceship crashed at Roswell and that the government is covering it up. Is a man who has spread deceptive information and who at one time says he had nothing to do with UFO research to be trusted when he now says he saw the crashed Roswell spaceship? Considering that, according to NASA, the atmosphere of Mars is about 100 times thinner than that of Earth, and that it is over 95% carbon dioxide and only 0.13% oxygen,5 one wonders what the surviving Martians are breathing. Another prime candidate for our plain dumb category is one Karl Wolfe, a former sergeant in the United States Air Force. According to his own testimony for the Disclosure Project before the National Press Club in Washington DC in 2010, Wolfe claims to have been assigned to HQ Tactical Air Command in Langley, Virginia. One day in “1965, mid-1965”, whilst assigned to the Lunar Orbiter Program, Wolfe says he saw “clear structures, buildings, mushroom shaped buildings, spherical buildings, towers” in a series of photographs of the far side of the moon shown to him by an airman in a lab he was working in. He also stated the other airman told him “we’ve found a base on the far side of the moon.” Wolfe is very clear on the year this supposedly happened, and also the project he was a part of. It is this clarity which also serves to show why he couldn’t possibly be telling the truth. A NASA report on the Lunar Orbiter missions notes that a total of 419 high resolution and 127 medium resolution photos were taken by the Lunar Orbiter missions, covering over 99% of the lunar surface.7 For all that, no alien bases show up in these photos. Thus, even respected and intelligent persons can hold beliefs that are irrational. Skeptics are familiar with this tactic of deliberately quoting someone out of context to make it seem like they are advocating the opposite of what they are actually saying. It is a common ploy used by creationists to attempt to discredit evolutionary biologists. Here it has been used to falsely make people believe that Buzz Aldrin is saying there’s an alien artifact on Phobos. The “monolith” Aldrin refers to, by the way, bears no resemblance to the monolith in the move 2001: A Space Odyssey. While it is strange looking—a thin, vertical piece of rock—it is irregular enough to plainly be a natural object. It might, at this point, seem as though this review is nothing more than an attack on the character of the witnesses. However, there is really nothing of substance to the film except the testimony of these people, many of who show evidence of questionable veracity. Despite claiming there are “Black Programs” secretly controlling information about extraterrestrial contacts and suborning the scientific establishment and the press, Greer and his associates give no evidence to support this assertion beyond the witnesses. 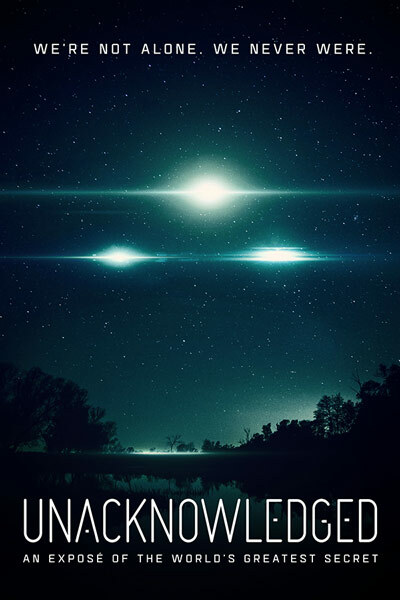 In this regard, the film asserts that, since mainstream media has been suborned, the truth about UFOs has been forced onto the pages of the tabloids. This is almost comical, since this was one of the gags of the movie Men in Black. We have, indeed, been contacted—perhaps even visited—by extraterrestrial beings, and the U.S. Government, in collusion with other national powers of the Earth, is determined to keep this information from the general public. So the filmmakers grossly misquoted Marchetti by removing the statement that it was his theory that we have been contacted by extraterrestrial beings, dishonestly quoting him as saying that extraterrestrial beings have definitely contacted us and that he knows definitively that our government is covering it up. After he was threatened by the intelligence community, and blackmailed, he then began to debunk the issue. Here Sagan is merely running a thought experiment extrapolating the possible number of extra-terrestrial civilizations based on the number of potential planets in our galaxy, a very common theme in SETI literature. In any case, there is no evidence that Carl Sagan was threatened by the government or that he was ever anything other than a skeptic concerning reported contacts by UFOs. The amount of energy in a cubic meter of space-time is 1026 power. That’s ten with 26 zeros behind it. That’s enough energy in a coffee cup to boil all the oceans of Earth completely away into steam. That research into extracting zero point energy is being performed at the University of Colorado belies the movie’s claim that the government is keeping this free energy source from us. And then there is poor Stanley Meyer, inventor of the “water-powered car.” Meyer just wanted to give people cheap, clean energy. But the oil companies clearly couldn’t have that and so harassed and intimidated him (the internet says so it must be true). In 1996 he was found guilty of “gross and egregious fraud” by an Ohio court. He died in 1998 after eating at a restaurant; the coroner diagnosed an aneurysm, but the conspiracy web still suspects he was poisoned. And so, with zero point energy and cars that run on water the film descends into the realm of perpetual motion machines. One question that is never even posed in the film, let alone answered, is why the space aliens, who Greer says are probably concerned by our warlike tendencies, haven’t used their immense energy resources and advanced technology to overwhelm the evil perpetrators of the Black Projects by, for example, simply commandeering the air waves and the internet to expose the cover-up and give the information to everyone on Earth. It would seem that despite their vaunted technology, they can’t do what Edward Snowden did. Tim Callahan is religion editor of Skeptic magazine. His books include Secret Origins of the Bible, and Bible Prophecy: Failure or Fulfillment? both published by Millennium Press. He has also researched the environmental movement, and his article “Environmentalists Cause Malaria! (and other myths of the ‘Wise Use’ movement)” appeared in The Humanist. He has co-authored UFOs, Chemtrails, and Aliens: What Science Says. Neimark J. 2005. “The Big Bird, the Big Lie, God and Science” Skeptical Inquirer November 29. Sagan, Carl. 1963. “Unidentified Flying Objects.” The Encyclopedia Americana. 3) The author knew the full history Carl Sagan, who concluded in his seminal book with the Russian scientist Shklovskii that Earth is likely to have been visited by space faring civilizations at least “every 10,000 years.” And this was decades before we knew earthlike planets pervade the universe. Then again, nobody would come to skeptic.com expecting anything but blind skepticism toward subjects that are already ruled off-limits by professional pseudoskeptics like Michael Shermer. 2. Methinks ’tis Argument from authority. Having said that, I read the review (haven’t seen the documentary) and I counted 2 (not multiple) astronauts of which one, it seems clear, was deliberately misrepresented. Of the “highly placed intelligence officials” I could only find one potential candidate and he, again, was misrepresented. I found no “former heads of state” or “NATO commanders” cited in the review. 3. That Carl Sagen speculated that “the earth is likely to have been visited by space faring civilizations” does nothing to show that this review is erroneous or that it should not to be taken seriously. I’m not sure what “blind skepticism” is … and, as far as I know, absolutely no subject is “off-limits”. However, if someone wants to be taken seriously on a subject such as UFOs, they have to bring something new to the table because the “proof” provided so far has not stood the test of skeptical scrutiny. I found your claim of what Sagan had written in one of his books to be curious. I suspected it was some throwing numbers at the Drake equation. I tried to find a quotation of Sagan’s passage from this book on-line and could not find anything. However the entire book is free on-line in pdf format. Doing a text search of passages of “every 10,000 years” (once in the entire book) or “10,000 years” (3 times in the book) there is no relationship to these terms and visitations on Earth. So your claim as to what Sagan and his co-author had written is false. 1) So if a name is misspelled, you can argue the credibility of the author? How about the actual content of the article itself? Wouldn’t that be more important? So if Greer’s book or documentary has a misspelling or mispronunciation, we can go ahead an invalidate the content, right? ’cause credible authors never misspell names…. 2) Please point to where a witness was ‘denigrated’. Identifying inconsistencies isn’t denigration, it’s more information. Criminally leaving out the context of a statement is disingenuous, interesting that you are not bothered by the omissions. 3) If you knew the actual history of Carl Sagan, then you would know that his statement was speaking to the likelihood of alien civilizations, the math, not any evidence that aliens had actually ever visited earth. Being sceptical of seemingly outrageous stories isagood thing as long as the authors realize they have their own inherent biases. Because one counterintuitive claims is wrong does not mean all are-it seems many scientists are materialistic when it comes to consciousness, which on the surface appears logical-until you examine the evidence, which seems to point to something other than consciousness being produced by the physical brain- something non local. We know that our conscious choices change matter, at least at the submicroscopic level. I’d like to see more analysis in this area. … response to the command, “show me … ‘alien’ …” that a binafide alien, and many others like him, are verifiable. All speculatiom, though, is just that … mere speculation. Alas, UFO-mania is far from being the sole modern nonsense dressed up in high-production-values “documentaries”–and played on supposed “educational” TV channels, not just on the Internet. The “History” channel, for one sad example, runs rubbish-programs on everything from “Hunting Hitler” (supposed to have not died in his bunker after all) to one claiming to have blood from the Shroud of Turin and hoping to test it for DNA (it is so dishonest that it conflates John the Baptist with Saint John to run its DNA claim). Would that the latter were credible; we might find out what God’s Y-chromosome looks like! Given how much this genre is surging, skeptics have a lot of work to do. It is amazing that the world’s governments who can’t agree on much of anything somehow all agree to hide the ‘truth’ about aliens (who possess technology we can’t even imagine) even though said aliens WANT everyone to know they exist. Mind you, I have seen ufos though by that I mean I couldn’t identify them positively (pretty sure the best one I saw was someone pulling a hoax). There have been water powered cars, the most famous being the Stanley Steamer http://www.stanleymotorcarriage.com/ but I doubt that’s what Mr. Meyer means. I’d be interested in Tim Callahan’s “bulletproof” explanation (s) for so many UFO sightings. It’s not very difficult to poke holes in arguments, one way or the other. I for one am unconvinced either way but find these films very interesting. Thanks for taking one for the team; I’d charge Netflix a tidy sum to sit through such clap-trap. I guess they left out the man on the grassy knoll and Elvis’ alien love-child since they didn’t want to stretch the credulity of the audience? The use of personal testimony in pro-UFO films and literature shows why science almost never uses testimony to find facts -testimony is fraught with falsehoods. It also shows how troubling it is that the legal system depends so much on testimony. In this regard, when DNA evidence became available this further confirmed the failures in testimony. I was surprised to read comments arguing against this review. Especially that first one. BTW: the lack of an atmosphere on Mars pretty much rules out surface life because of UV. UV is ionizing radiation and breaks down biochemical molecules readily. Without Ozone and O2 to block the Sun’s UV the surface of a planet will be sterile. If you recall the timeline of life on Earth it didn’t leave the oceans until a substantial Ozone layer developed. I did not denigrate “witnesses of significant stature.” The only such witnesses I mentioned were Victor Marchetti – who was grossly and – I have to assume – deliberately misquoted by the film makers; astronaut Buzz Aldrin, whose words were edited to make it seem as though he was saying the monolith on Phobos was artificial, when in fact he said quite the opposite; and astronaut Edgar Mitchell. I don’t think that pointing out that Mitchell believed in psychic healing denigrates the man. It merely points out that he had some weird beliefs. Thus, we might want to take his belief in alien contact with a grain of salt – particularly in light of the lack of supporting evidence. Regarding Carl Sagan, the assertion in the film was that he had been intimidated and blackmailed by the government. Hence his skepticism about UFOs was false. In fact, the film in no way backs up this claim. In fact, the film is not only lacking in support for its assertions, the misquoting of Marchetti and Aldrin point to gross dishonesty. The author knew the full history Carl Sagan, who concluded in his seminal book with the Russian scientist Shklovskii that Earth is likely to have been visited by space faring civilizations at least “every 10,000 years.” And this was decades before we knew earthlike planets pervade the universe. Thank you for this. Made me laugh out loud. Did you have to consult the source, or do you know this by heart? I knew it, except I threw in an extra “just” for the last “have been sacked.” I always check transcripts before I post something like that, though. So when when I did, I saw the error, and left it out. This is not inconsistent. Robert McNamera, for example was a major architect and proponent of the war in Viet Nam who later tried to redeem himself by publicly admitting his culpability. John La Carre made a career of it. Late life turnarounds are certainly nothing out of the ordinary. Um, an atmosphere that’s 95% CO2 and .13% oxygen? Or perhaps “they’re” not respiring at all? Or maybe life on Mars, if such a thing exists, is not matter based? Or. . . . This is a nonsensical argument which presumes “alien” life somehow resembles life as we know it on earth. As mentioned, vacuum/quantum energy *is* being actively researched, but it tends to be financed by government/military agencies that keep pretty close tabs on the findings and their release as a condition of funding. NDAs are rife in the science. As someone who’s been marginally interested in the topic ever since my high schools days and Erich von Däniken’s “Chariots of the Gods?” I’m willing to consider the possibility that our planet has had contact with extraterrestrial entities. I’m also willing to consider the possibility that it has not, and that there is much hyperbole and wishful thinking (and money to be made), surrounding the topic. This article, however, did nothing to convince me one way or the other– and I’ve not seen the documentary– thus, I remain. . . skeptical. The issue with the Martian atmosphere is that there is nothing that protects the surface from UV light – which breaks up big bio-molecules which are necessary for biochemistry and hence biology. Note: NASA’s Astrobiologists do not rule out sub-surface life on Mars – some are cautiously optimistic on the prospects of subsurface life on Mars. Regarding the issue of non-material life: Sure, OK. If you’re willing to accept imaginary life as non-material life, then the Universe is chock full of it: thriving everywhere from the singularities of Black Holes to the voids in the large scale structure of the Universe. Since it is imaginary it has no limitations or restrictions – it can do and be anything – and that makes it boring to anyone who really thinks about it. The thing is, without any evidence, non-material life _is_ imaginary life. MacNamara was admitting to a verifiable truth – that the Viet Nam war was a huge mistake. Doty, having spread disinformation in the past, is now claiming he saw the spaceship that allegedly crashed at Roswell, as well as the bodies of its alien crew. This is an extraordinary claim that remains unsupported by the extraordinary evidence of the Roswell non-incident. I remain skeptical of Doty’s conversion, particularly in light of the film’s misquoting of Aldrin and Marchetti. As to quantum vacuum energy, it remains an unlikely energy resource. Any country that was able to use it would hardly be likely to still depend on foreign sources of fossil fuels, which could be easily cut off and amount to a serious drain on the economy. They’re not really running on steam. They still require an energy source to produce the steam. Erich von Daniken and Uri Geller meet Space Nazis, and are now promoting cold fusion and quantum flapdoodle. Lotsa bux for a few from Internet doofi. No historical evidence that Tesla found vacuum energy. Casimir found experimental evidence for vacuum energy in 1947 which is called Casimir effect. Nonsensical statement. “Power” is not a unit of energy. Casimir accessed it in 1947. It doesn’t mean it is practical and cheap. Zero point energy does not violate the laws of thermodynamics. But as a practical source of energy, it is more improbable than alien visitation. My experience with saucer folks is that disputing what they say is evidence of insanity and that saucer guys on earth are zapping you with magick energy to delude you from realizing the REALTROOTH to which they are privy. Correct prayers to Fashionable saucer gods can get the Broncos to do better next year if the Jesuits and Bavarian Illuminati also approve. Clearly, he means 10 to the power of 26 (Joules, I guess). No point picking holes in a simple mistype or misunderstanding. There are bigger fish to fry than this. As to Nazis and UFO’s, a curious notion has emerged among some UFO buffs. It is that Nazi Germany was working on flying saucers with some super high-tech propulsion system like antigravity. Or whatever ET’s supposedly use in their flying saucers. The program was supposedly codenamed “Haunebu”. I find that totally absurd, because such vehicles would have been a valuable addition to their air force. Furthermore, the Nazis were working on several advanced weapons and vehicles, and using them when they were ready. Like their V-1 “buzz bomb” cruise missile, their V-2 rocket, and their Me-262 jet fighter. So why not a vehicle that would have made the Me-262 seem like a paper airplane? Furthemore, none of the rocket engineers recruited by the Nazi regime’s conquerors knew anything about this technology, and they would have been in a position to learn about it, if it had existed. No sense going through all the trouble of developing the V-2 rocket when one can drop bombs from superfast flying saucers. Yeah, the Haunebu is part of an elaborate mythos to some degree created by Neo-Nazi groups, such as the Tempelhoffgesellschaft (“Temple Court Society”). This involves the assertion that the original Aryans came from a planet orbiting the star Aldeberan and that they established a colony on Earth — the Sumerians — who were the ancestors of the modern Germans. In point of fact, the only historical basis for the Vril Society was a passing reference in a 1949 article by Willy Ley titled “Pseudoscience in Naziland”, to a society in pre-WW II Germany that was searching for vril (a supposed source of great psychic power invented by Bulwer Lytton in his novel “The Coming Race”). Maria Orsitch (also spelled Orsic) seems to have been invented out of whole cloth by Pauwels and Bergier. You might find this interesting: http://www.alpenfestung.com/ley_pseudoscience.htm — Willy Ley on Pseudoscience in Naziland. He focused on three kinds: Pendelforschung (“pendulum research”), Hohlweltlehre (“hollow-earth theory”), and Welteislehre (WEL: “cosmic ice theory”). Pendelforschung was essentially a form of dowsing with objects on handheld strings swinging back and forth, seems like a circus sideshow act, but some officials took it very seriously. Hohlweltlehre was just like Cyrus Reed Teed’s Koreshan Universology: the Earth is hollow and we are living on the inside of it. Welteis­lehre was an elaborate quasi-Velikovskian cosmology developed by Austrian engineer Hanns Hoerbiger and schoolteacher Philipp Fauth. It stated that the Milky Way is a ring of ice blocks orbiting the Sun beyond 3 times the distance to Neptune. Some of these ice blocks spiral inwards and collide with the planets, covering their surfaces with ice. HH’s first “evidence” for this theory was being struck by how bright the Moon looks through a small telescope and concluding that the Moon was covered by ice. As ice blocks pass, we see them as meteors, and when one of them collides, it makes a lot of stormy weather. When one of them falls into the Sun, it makes a sunspot. The Earth’s present moon is only the latest of several moons that the Earth has had. All the rest have spiraled into the Earth, and the most recent of them, the Cenozoic or Tertiary Moon, was remembered in a variety of myths and legends. Its infall was remembered in the Book of Revelation and other stories of how the world will end. Then the Earth captured its present moon, and that capture sank Atlantis. After WWI, the Hoerbigerites formed a pressure group for making people accept their theories. They even heckled astronomers’ meetings, demanding “Out with astronomical orthodoxy! Give us Hoerbiger!” In the early 1930’s, they associated themselves with Nazism, saying that Hanns Hoerbiger was a successful Austrian “amateur”, just like Adolf Hitler. The Nazis’ Ministry of Propaganda ended up stating that one could be a good Nazi without believing in the WEL. After WWII, Hoerbigerism dropped out of sight, though it revived in the 1950’s and 1960’s. But it has no Internet presence that I have been able to discover. This is despite all the crackpottery that one can find online. Why do these eruptions of imagination (and corrupted quotes) appear periodically to frustrate the educated and scientifically minded? One simple answer is that there is money to be made, and no one can argue that Netflix hasn’t been good at that! But,for me, the more abiding answer is that it seems to be a fact that human beings (including some otherwise intelligent people) are always prone to seek answers to the unexplained and in a vacuum of information those answers often defy known facts and are are based on pure speculation. It’s part of our human nature. Once one has ventured into this kind of speculation (plus a little fabrication and misquoting now and then), getting it reinforced builds a community which, as social animals, is also highly rewarding. So these eruptions are humans being humans. One could hope that good education (which includes critical thinking) could short circuit these outbursts, but I fear that we are domed like Sisyphus to keep struggling against this human foible. Ha! You misspelled “doomed” as “domed!” Therefore, your post is incorrect and meaningless!